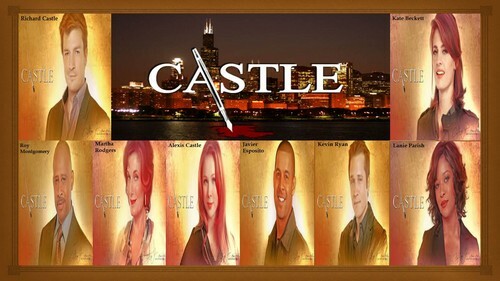 lâu đài FAMILY. . HD Wallpaper and background images in the lâu đài club tagged: castle stana katic nathan fillion kate beckett season 5 richard castle promotional photos. This lâu đài wallpaper might contain abattoir, butchery, shambles, and slaughterhouse. Stana Katic, behind the scenes "FOR những người đang yêu ONLY"
lâu đài FIRST LOOK! Pilot Episode!